Successful hackathon teams are made up of more than just coders. Here are five roles that every hackathon team will need to compete. 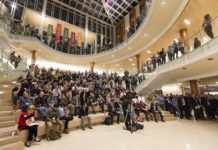 Programmers from around the world are drawn to hackathons for the fun, the camaraderie, and most of all the opportunity to develop real solutions to the difficult challenges our our day. 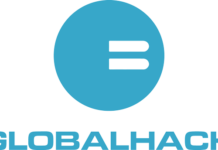 No doubt about it, hackathons like GlobalHack VII are thrilling to watch — and even more exciting to participate in. Unfortunately, “hackathon” comes with a certain stigma for those not in the know — the misconception that you have to be a “hacker” to join. The term itself is partly responsible for deterring those who might otherwise make valuable contributions. So, just to be perfectly clear – you don’t need to be a hacker to join a hackathon! There’s plenty of non-coder roles to play. For the same reason that tech companies hire designers, managers, developers, and thought leaders, hackathon teams need the same various array of talent. Successful teams will deliver sophisticated products that not only function technically, but holistically — with polish, with creativity, and with a critical understanding of of the issue they were designed to solve. Coding is just one of the many tasks that any team will need to make a successful hackathon run. If you have a background (or even a passing interest) in any of these five roles, there’s probably a hackathon team looking for you. 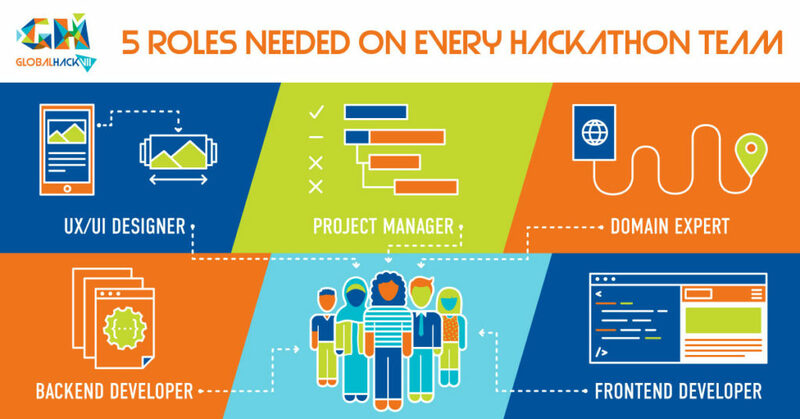 Successful hackathon teams are made up of more than just coders. 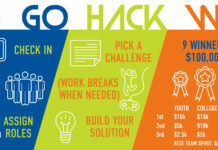 Here are five roles that every hackathon team will need to compete in GlobalHack. That means deciding what transitions between screens will look like, how functionalities and menus will be organized across screens, and generally how the user will “flow” from action to action within the app. This design is then handed to a frontend developer, who turns the blueprint for the app’s design into hard code. The frontend developer must mediate between the simple, intuitive design provided by the UX designer and the often complex programs created by the backend developer. Frontend developers will need to work closely with UX designers to ensure that their prototype ideas can realistically be translated into a real, intuitive app. This collaboration between coder and non-coder is critical to the work of producing a final product that is both user-friendly and powerful. 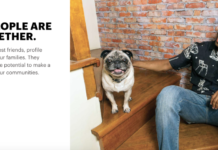 Your backend developer will handle the nuts and bolts: server-side functions like data and content management, API integrations, and security — in short, everything you don’t see but that makes your product work. 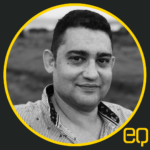 While the designer and frontend developer will work to keep everything simple and enjoyable for the user, it’s the backend dev’s job to make sure that the app does everything it says on the label. Organization is always critical in the work of software development, but with such a limited amount of time to build a prototype, it’s especially important that hackathon teams don’t skip critical steps or create redundancies in their work. Every team should have a project manager with the leadership and organizational skills needed to keep the team working as efficiently as possible towards its end-goal. 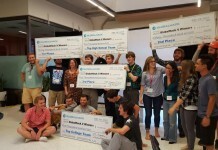 In hackathons like GlobalHack, teams are asked to design solutions to particular problems. Our latest event will tackle the challenges facing the immigrants and refugees in our communities. Hackathon success requires not only the skills to create powerful solutions, but an in-depth understanding of the problem as well. Tech pros looking to build out their teams should be sure that they’ve got a domain expert with the right base of knowledge — even if that person doesn’t necessarily have a strong technical background. All of which is to say that you don’t have to be a master programmer to excel in a hackathon. You could be an amateur with a side-interest in app development, a freshman CS major, or a junior project manager looking to get a better understanding of the nuts and bolts — hackathons represent an opportunity for technologists of all backgrounds and skill levels to learn from one another, and grow their toolkits. If you don’t think you’ve got the technical chops to participate in an event like GlobalHack, think again — your background could just be a perfect fit!